On a local level, we co-ordinate STIMULUS, a peer-assisted learning programme offering training and placements in local primary and secondary schools to Cambridge University students. The programme involves students from a wide range of disciplines, including mathematics, engineering, physics, medicine, computer science, biology, zoology, natural sciences and law, who help with maths, science and computing classes in primary and secondary schools around the city of Cambridge. STIMULUS creates around 300 volunteer placements each year: each placement involves a student volunteer helping for one afternoon each week throughout a University term in their assigned school. We run free events for schools and the public, held in Cambridge, especially for the annual Cambridge Science Festival (which takes place in March). Professor John D Barrow FRS, the MMP's Director, also gives over 30 public talks a year around the world to schools, the general public and other audiences. You can view videos of the series of lectures he gave for Gresham College as Gresham Professor of Geometry. The Millennium Mathematics Project hosts the regional Further Mathematics Support Programme, part of the national Further Mathematics Support Programme funded and overseen by MEI. 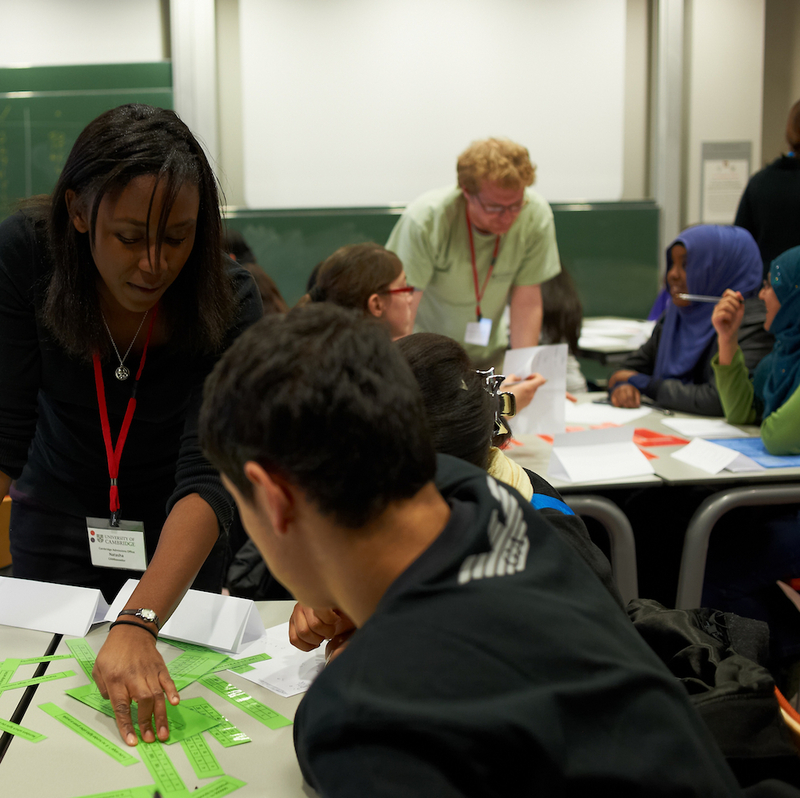 Since the Further Mathematics Support Programme (previously the Further Mathematics Network) started in 2004, entries to AS Further Mathematics have risen by over 500% and entries to the full A Level by nearly 150%. The Further Maths Support Programme aims to provide universal access to Further Maths A-level by supporting schools and teachers with professional development, guidance and resources as well as tuition where needed. We also promote the further study of maths through enrichment days, competitions, further resources and CPD aimed at Key Stage 4. For more information see the regional FMSP webpages or contact the Further Mathematics Support Programme Area Co-ordinator.